We still have a month left of school – can you believe it is coming up that soon! 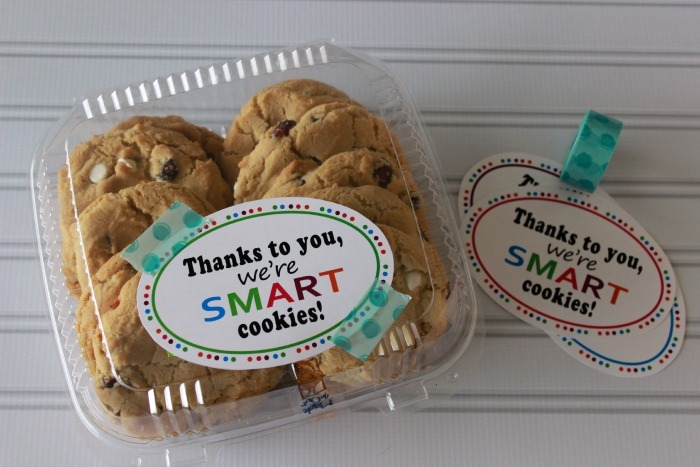 Teacher Appreciation week snuck up on me and I knew I needed a quick and simple teacher gift idea! 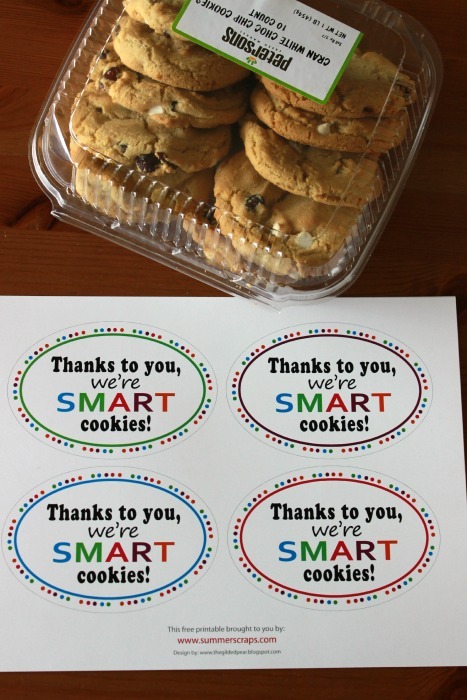 I truly appreciate all that the teachers have done for my children and want to make sure to give them a little thank you, even if it is super simple. Now depending on how much of a hurry you are in and what supplies you have you can make up a cute teacher gift. If your family is anything like mine you probably didn’t get the note from your kid about Teacher Appreciation week until the morning of. 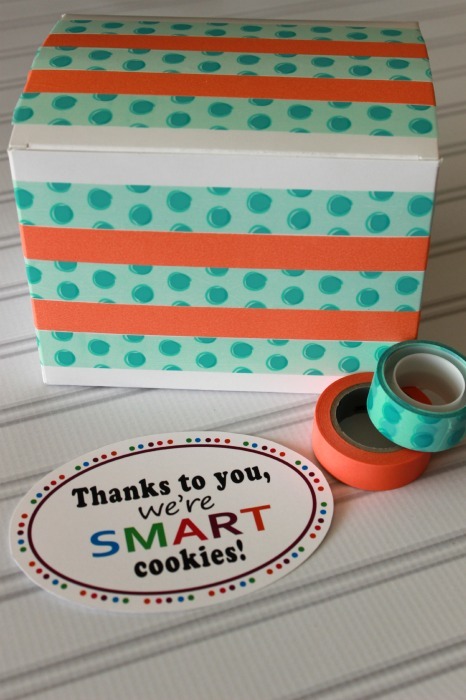 In this case grab a box of cookies and use washi tape to put your tag on – still cute but takes you less then 5 minutes – and that includes shopping time! You don’t even have to take the time to pull off the store label – the tag covers the whole thing! Well at least it covers the ones from my store – and they are pretty big. Here are a few more ideas if you have more time. The celophane treat bags are only $2.99 for 50 at the store – add some cute ribbon and you are all set! This glass jar was only $3.99 and I used a 40% off coupon so it was such a great deal – I think this idea is my favorite. 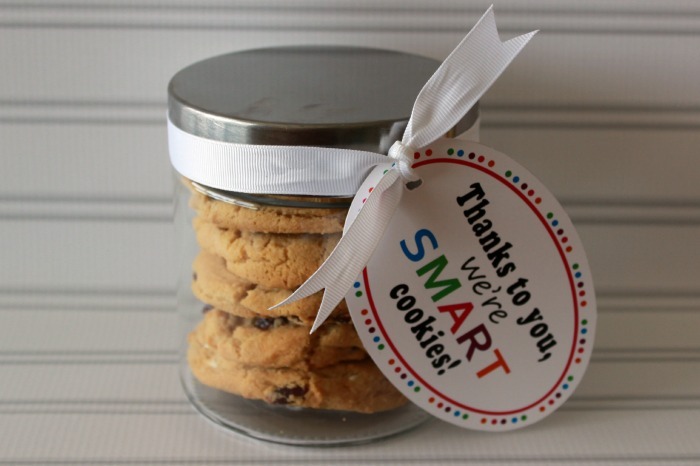 Fill the glass jar with cookies, add ribbon and the pritable tag and you have a cute teacher gift – with a jar the teacher can reuse. For the last idea you will need a cardboard treat box (only .99cents) and some tissue paper and matching washi tape. Layer the washi tape on the box – super easy! 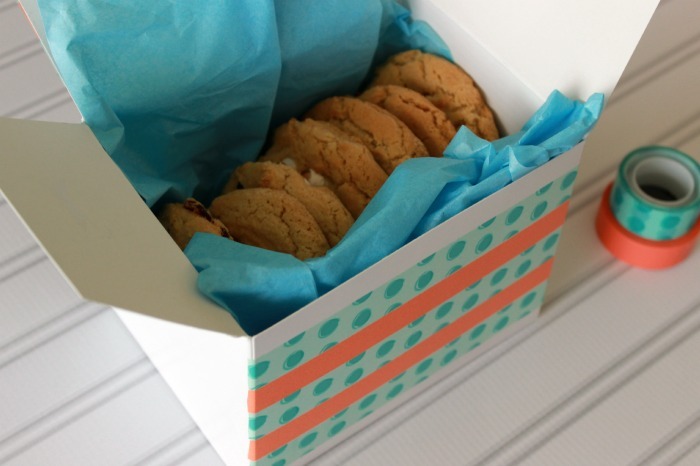 Add the printable tag to the top, put tissue paper in the box and fill up with cookies! My kids are excited to give these to their teachers and I hope these simple ideas will help take your stress down a notch! 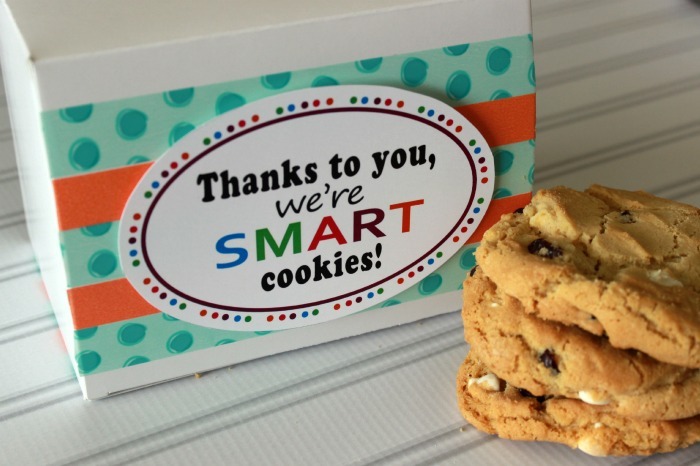 What is your favorite thing to give your kids teachers at the end of the year?? Oh my gosh!! Why have I never thought of this saying before?! It’s adorable!! Great idea!!! Wish we were still in grade school so I could make some! Deb recently posted…FREE Blogging Bundle for Moms! JillIan @ Hi! It’s jilly recently posted…Take it on Tuesday – Taking a Break! This is such a great idea! I know that all teachers would just love these! Chelsee (Southern Beauty Guide) recently posted…Let’s Be Friends #64 is NOW live! Come link up! This is just too cute! And they look so yummy! I am pretty sure you just gave me my idea for tomorrows teacher gift! This was perfect thank you! I love them in the jar and box. so cute! As a former teacher, I can say that I would be totally thrilled to receive this as a gift. Of course, I would have to hide it from my family!! 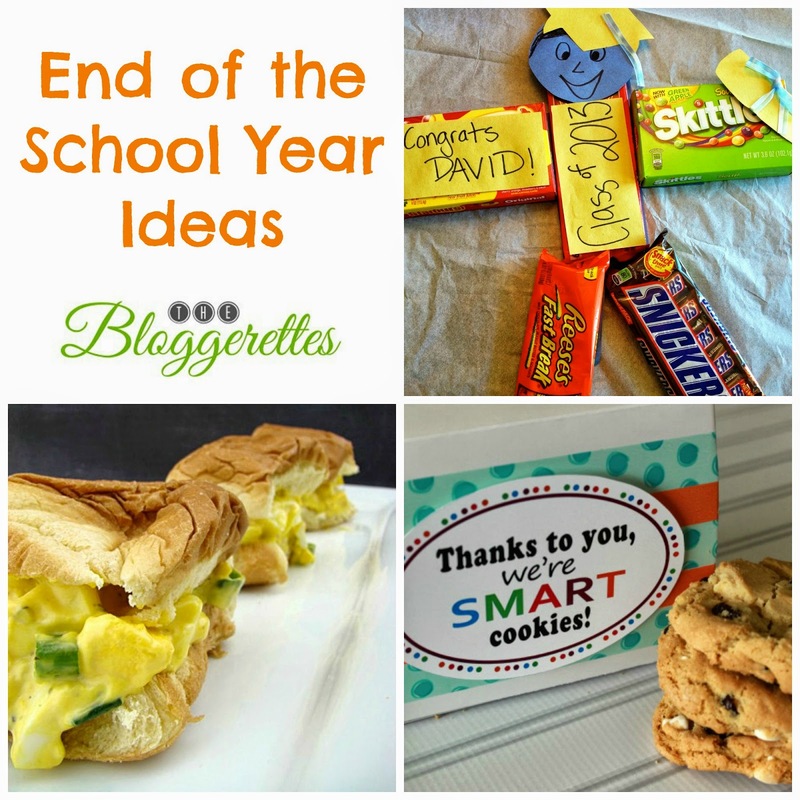 Great ideas, I am sure my girls’ teacher would love some fun cookies! 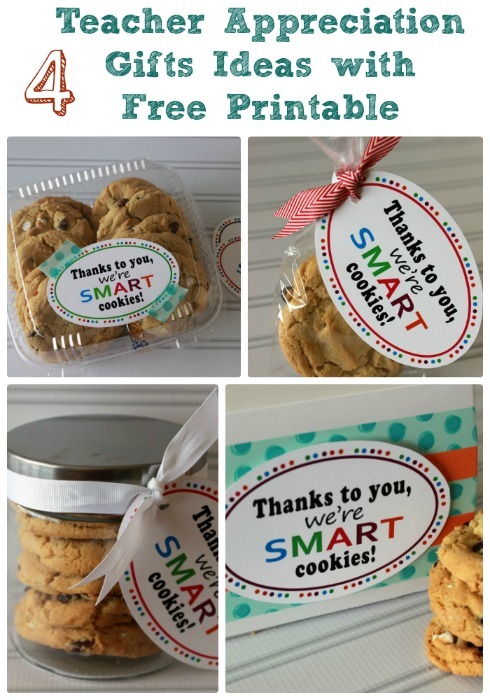 What a versatile Teacher Appreciation gift idea. 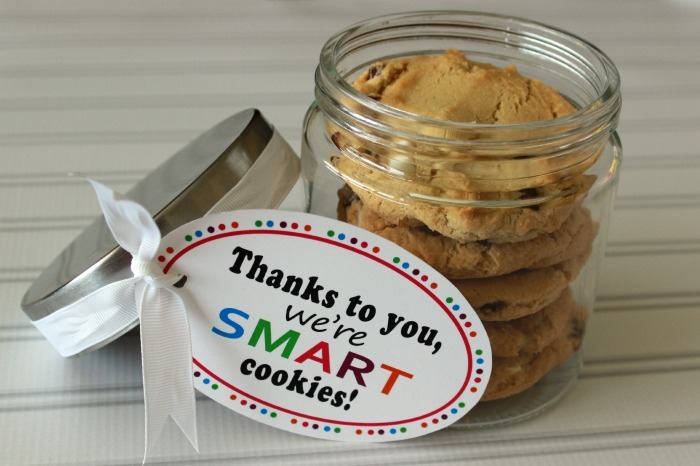 I love how you partnered it with washi tape and attached it to the cookie container! Super cute. 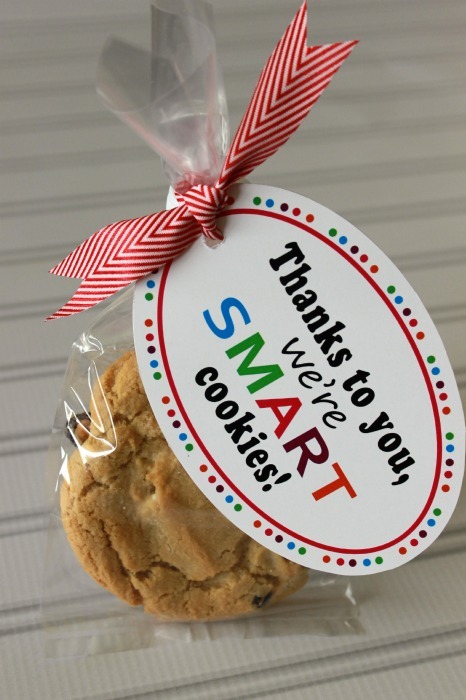 Pinning to my Teacher Appreciation Board! These printables are too cute! I am going to try my hardest to pull this off tonight. I have been slacking this week! Thanks for the printable! This is super cute! 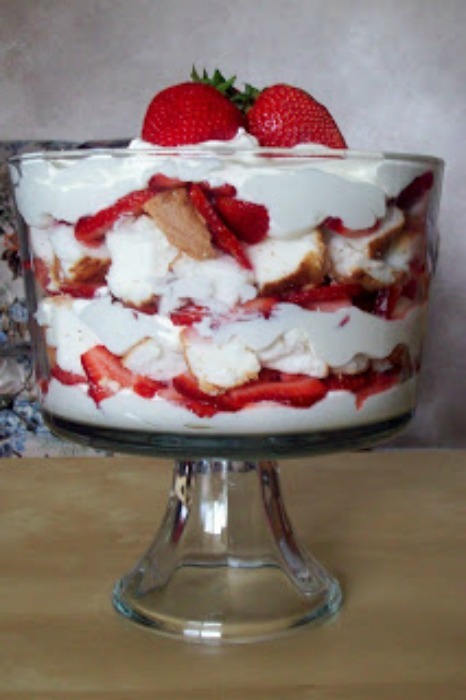 My boys’ teachers would love this sweet treat! I love these! I’ve seen so many great teacher’s gifts ideas, but this is my favorite. Thanks for sharing! Aw. these are really cute. I especially like the cookies in the see through jar. I think it would be fun to attach a picture of the child making the cookies to the back of your pretty tag. Sheila recently posted…Is It Nothing to be Happy? What a wonderful idea! I am a teacher and I would LOVE to receive a thoughtful gift like this! Thanks for the free printable, I pinned it. Such a great idea! Thanks for sharing at Thursday Favorite Things! Love this idea! 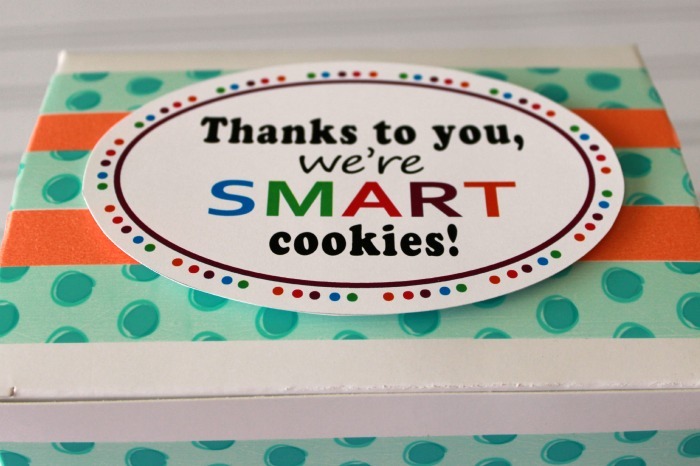 As a former teacher, I can say that I always loved getting cookies as gifts! Thanks so much for linking up with #ShareTheWealthSunday! I’m always looking for cute teacher gift ideas. Thanks for sharing this one. Great idea! Like that it’s a diy and your child can help you make it. They’re all so cute! I don’t know which is my favorite! They’re all so cute! I don’t know which is my favorite! Thank you for linking up to the Bloggers Brags Pinterest Party. I am finally getting around to pinning your post to the Bloggers Brags Pinterest Board.